Gráinne Mulvey’s music has been widely performed and broadcast both in Ireland and internationally. She has been the recipient of awards and honours such as the RTÉ Musician of The Future – Composers’ Class and the St John’s Memorial University Composers’ Competition Award. She represented Ireland at the International Rostrum of Composers in 1994 and 2006 and at the ISCM World Music Days in 2008 and 2009. She was the subject of an in-depth profile on Swiss Radio in 2008 and a programme of her major orchestral pieces was aired by Slovenian Radio in 2009. Her music is published by Babel Scores and Prairie Dawg Press, USA. She is represented by the Contemporary Music Centre, Ireland, the Association of Irish Composers, the Irish Music Rights Organisation and the International Alliance for Women in Music – Donne In Musica. Mulvey is presently Head of Composition at the Dublin Institute of Technology Conservatory of Music and Drama, and is a member of Aosdána, Ireland’s organisation of creative artists. Photograph: Tony Carragher. 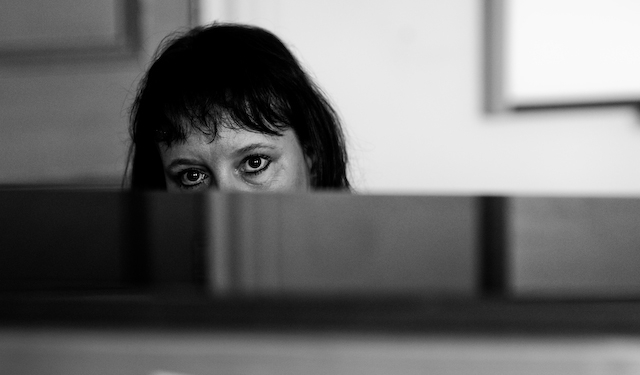 Gráinne Mulvey at the Dublin Institute of Technology Conservatoire of Music and Drama, Rathmines, in her teaching room, 11 January 2012.